Analysis: Michel received another full workload and churned out yards through sheer volume, as his longest carry went for just 11 yards. Still, he eclipsed the century mark for the second straight outing while adding touchdowns in the first and fourth quarters. Michel has been an impact player through two playoff appearances, piling up 242 yards and five touchdowns in a pair of wins. 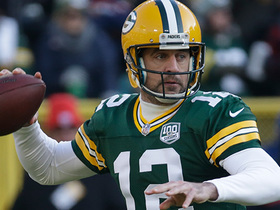 He'll look to continue his outstanding form in the Super Bowl against the Rams. Analysis: Michel remains New England's top option on the ground heading into the playoffs, as he recorded 14 carries to Rex Burkhead's five and James White's four. The other two running backs each scored a receiving touchdown and are more involved in the passing game, so it will be difficult to predict which of the three will be the most useful option in playoff leagues. Michel mustered 57 rushing yards on 20 attempts during Sunday's 34-33 loss to the Dolphins. Michel carried 17 times for 63 yards and caught one pass for another seven yards during Sunday's 24-10 win over the Vikings. Analysis: Michel received his second-highest number of carries since Week 6, but he averaged just 3.7 yards per carry against a tough Minnesota front. He was an afterthought once again in the passing game, watching as James White hauled in seven passes for 92 yards. Given the multitude of skill players on the roster and his lack of big plays this season, Michel is particularly reliant on red-zone usage for fantasy production. He'll hope to do more with his touches next Sunday against the Dolphins. Michel (knee) rushed for 133 yards and a touchdown on 21 carries while catching both of his targets for 12 yards in Sunday's 27-13 win over the Jets. Analysis: Michel gave his team a 27-13 lead with 8:54 remaining courtesy of a one-yard touchdown. He left the field for a while due to injury, but battled through it en route to a career-high rushing total. Given the immense workload the rookie running back was able to handle in this one, Michel's injury issues are unlikely to hold him back against the Vikings in Week 13. Michel (knee) is listed as active for Sunday's game against the Jets. Analysis: Now that Michel is further removed from the knee issue that caused him to miss the team's Week 8 and Week 9 contests, the 2018 first-rounder is a bounce-back candidate against the 3-7 Jets, a matchup that could well afford the Patriots' lead back a favorable game flow. Michel (knee) is listed as questionable for Sunday's game against the Jets after practicing in a limited fashion all week, Ben Volin of The Boston Globe reports. Michel (knee) was listed as limited at Wednesday's practice. Analysis: In his return from a two-game absence in Week 10, Michel logged 11 carries for 31 yards in his team's 34-10 loss to the Titans. Now further removed from his latest knee issue, a bounce-back effort could be in the cards against the 3-7 Jets. The Patriots' coaching staff has had extra time to game plan for this weekend's contest and should look to feature the rookie more prominently with a more favorable game flow likely in store. Michel (knee) rushed 11 times for 31 yards and wasn't targeted in the passing game during Sunday's 34-10 loss to the Titans. 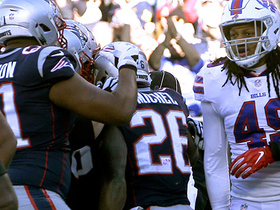 Analysis: Michel was stuck in low gear along with the rest of New England's offense. It didn't help matters that he got a one-yard rushing touchdown vultured by fullback James Develin. The rookie running back will have a chance to further heal up during the Week 11 bye, so expect Michel to regain his effectiveness after that. Michel (knee) is listed as active for Sunday's game against the Titans. Analysis: In his return from a two-game absence, Michel is poised to reclaim his duties as the Patriots' lead back, while James White will continue to maintain PPR utility thanks to his strong pass-catching ability. Meanwhile, Cordarrelle Patterson - who helped filled in for Michel over the last couple of weeks - will resume his normal reserve wideout/return duties Sunday, so long as Michel avoids any in-game setbacks. Michel (knee) is listed as questionable for Sunday's game against Tennessee but is considered likely to play, Adam Schefter of ESPN reports. Analysis: After sitting out New England's last two games, Michel was a limited participant all week before flying with the Patriots to Nashville on Saturday. The fact that he traveled with the team was a good sign for his chances of playing, but fantasy owners will want to confirm that Michel will suit up Sunday before inserting him into lineups. A final word on the rookie's status should come when the team releases its inactive list approximately 90 minutes prior to the 1 p.m. EST kickoff. Michel (knee) will travel with the team to Tennessee, Michael Giardi of NFL Network reports. Michel (knee) is listed as questionable for Sunday's game against the Titans after practicing in a limited fashion all week, Ben Volin of The Boston Globe reports. Michel (knee) logged a limited practice Thursday, Mike Reiss of ESPN.com reports. Analysis: Michel was listed as limited Wednesday as well, but that session was a walk-through. 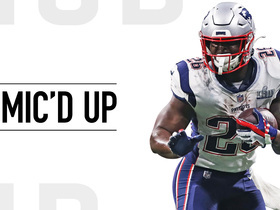 The running back is thus trending in the right direction as Sunday's 1:00 ET kickoff against the Titans approaches, but he's still likely to be officially listed as "questionable" for that contest by the Patriots come Friday. Michel (knee) was listed as a limited participant at Wednesday's walk-through practice, Mike Reiss of ESPN.com reports. Analysis: Per Adam Schefter of ESPN, Michel -- who has missed the past two games -- seems likely to return to action Sunday against Titans, assuming he has a good week of practice with no setbacks. That said, it's expected the Patriots will continue to list Michel as a limited participant Thursday and Friday. That would put the rookie running back on track to carry a questionable designation into the weekend. The Patriots are optimistic that Michel (knee) will be available for Sunday's game against the Titans, Adam Schefter of ESPN reports. Michel (knee) is inactive for Sunday night's game against the Packers. Analysis: With Michel still sidelined, look for wideout Cordarrelle Patterson (neck) to see added touches out of the Patriots' backfield Sunday, while James White will continue to maintain his PPR utility in Week 9 thanks to his pass-catching prowess. Kenjon Barner is on hand in a reserve capacity. Michel (knee) will go through a pregame warmup Sunday before his status is decided for the Patriots' game against the Packers, but the team is concerned about his availability, Adam Schefter of ESPN reports. 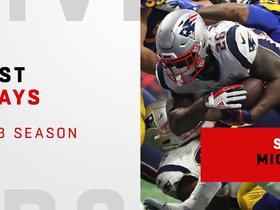 Michel (knee) is listed as questionable for Sunday's game against the Packers, Mike Reiss of ESPN.com reports. Michel (knee) relayed after Friday's practice that he felt "pretty good" and hopes to play Sunday against the Packers, Zack Cox of NESN.com reports. "If it was up to me, for these teammates, I would do whatever it takes," Michel said of his Week 9 availability. "If I had one leg, I'd still be out there trying to fight for these guys." 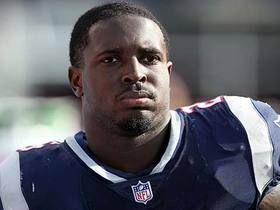 Michel (knee) remained limited at practice Thursday, Mike Reiss of ESPN.com reports. Analysis: Michel's continued practice participation bodes well for his chances of returning to action this weekend, but there's still a pretty solid chance that he'll approach Sunday night's game against the Packers with an official "questionable" injury designation. 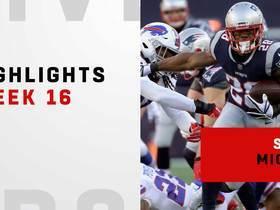 Watch the 2018 season highlights from New England Patriots running back Sony Michel. 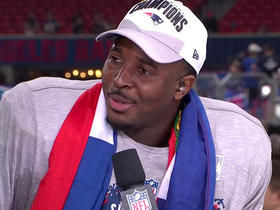 New England Patriots rookie running back Sony Michel discusses his team's win over the Los Angeles Rams in Super Bowl LIII. 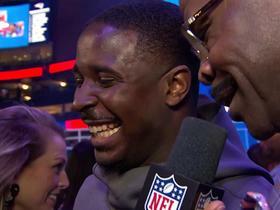 NFL Network's Michael Irvin catches up with New England Patriots running back Sony Michel at Super Bowl LIII Opening Night. NFL Network's Kyle Brandt predicts New England Patriots running back Sony Michel will play the game he was drafted for. 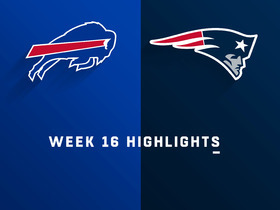 The New England Patriots use the ground game to perfection in a 24-12 win over the Buffalo Bills in Week 16 of NFL action. 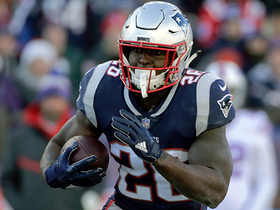 New England Patriots running back Sony Michel leads the ground attack, running for over 100 yards and a touchdown in a 24-12 win over the Buffalo Bills in Week 16. 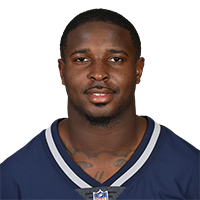 New England Patriots running back Sony Michel breaks a tackle for a 19-yard run. New England Patriots running back Sony Michel pushes the pile forward and reaches the end zone for a 4-yard touchdown.